$1.2 billion goal, more than a year ahead of schedule. The George Eastman Circle membership’s role in this feat is nothing short of remarkable. 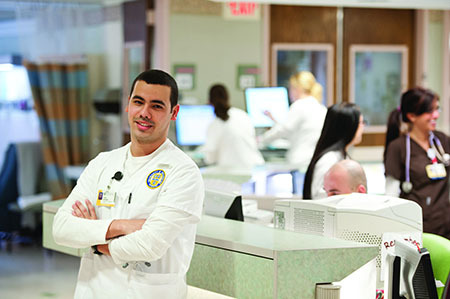 Across the University and Medical Center, your collective generosity—of more than $65 million—continues to leave an indelible mark on the University. Our support serves as the lifeblood for many areas of academia, research, and health care. We have accomplished a great deal, and as we celebrate this landmark achievement, we need to remember there is still much left to accomplish. In 1926, George Eastman imparted the following wisdom to his Eastman Kodak colleagues: “The world is moving, and a company that contents itself with present accomplishments soon falls behind.” Although it is not in our nature to rest on our laurels, we should draw inspiration from the words of our namesake. The University’s aspirations to go to the next level have made our continued support more important than ever. Reaching higher requires that we build upon what we have already established. To have a greater impact on the University, to ensure we make a sustainable difference, we need to remain dedicated to providing unrestricted support. Our legacy at the University is being engraved by our dedication to its success. All of our George Eastman Circle members have wonderful stories to share. We are pleased to feature this story from a member who supports the Hajim School of Engineering & Applied Sciences, and is a parent of a student at the Hajim School. As an undergraduate majoring in geomechanics, Carol Duquette ’85, ’03S (MBA), P’18 was impressed with the strong science and engineering programs at the University of Rochester, and the opportunities she had available. 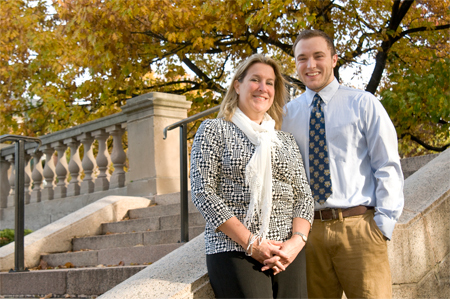 Her appreciation for the University deepened as several of her nieces and nephews followed her and earned their own Rochester degrees before launching successful careers; today, her son, Sidney, is a freshman at the University, majoring in biomedical engineering. After graduating, Carol worked as an engineer and consultant for the City of Rochester, a land development consulting firm, and architectural firms before joining Wegmans Food Markets, Inc. in 1996, where she is now vice president of design services and maintenance. She and her teams keep the award-winning, regional supermarket chain on the forefront of sustainability in its industry. In the past, we have mailed George Eastman Circle members a printed honor roll to recognize their generous commitments. After listening to and reading your feedback—and as part of a more global effort to reduce our carbon footprint and expenses—we are now publishing the George Eastman Circle Honor Roll exclusively online. 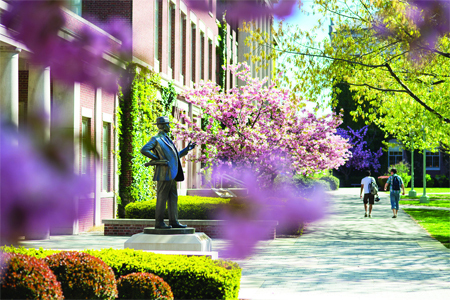 Since its founding in 1850, the University has continued to grow thanks to gifts of all kinds from alumni, parents, faculty, staff, and friends. On April 21, the University will honor and galvanize that dedicated, collective support with its inaugural Day of Giving. 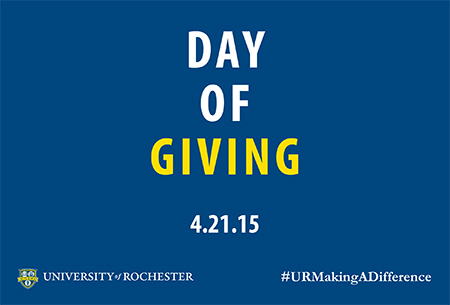 For 24 hours, members of the University community will join together in the spirit of Meliora by making gifts of any amount, for any purpose, across the University and Medical Center. At the same time, the University will celebrate the power of philanthropy by debuting another new tradition: Thank a Giver (TAG) Day. TAG Day will be an annual event where select parts of the University will be physically tagged to note (buildings, classrooms, benches, etc.) that their presence was made possible by donor support. The act of tagging these objects and spaces highlights the broad impact of philanthropy at the University and provides students with the opportunity to share their appreciation. Campaign-funded scholarship assistance continues to attract top students from across the country and around the world, who are graduating with a debt load that is lower than the national average. Since the George Eastman Circle’s inception, engineering students’ study abroad participation has experienced a four-fold increase, and the recently established Institute for Data Science is already positioned to be a world leader in the collection, curation, and analysis of big data. Your support funded the purchase of materials for Rare Books and Special Collections and provided several students with library-related employment opportunities. Later this spring, the University will celebrate the dawn of a new era for children’s health care in the Finger Lakes region. A dedication and ribbon-cutting ceremony for the new Golisano Children’s Hospital will be held on May 27; its doors will officially open to the public on July 7. With eight floors and approximately 245,000 square feet of space, the new facility is a model of care that is dedicated to children and their families. Features of the new building include a greatly expanded Neonatal Intensive Care Unit, private rooms, and a light-filled, two-story playdeck. The ceremony will also honor the many dedicated members of the University community who have helped make this building a reality. Following the lead of the hospital’s namesake B. Thomas Golisano, generous donors have been critical to creating the best possible environment for healing. You can still join the effort to complete the University’s largest capital project in history. 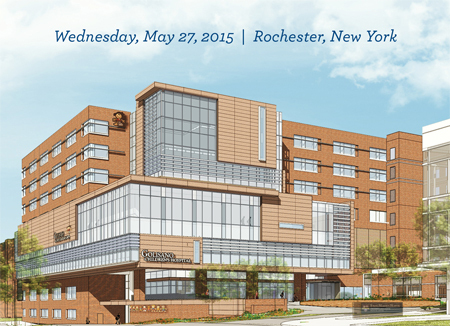 There are still many spaces available for naming and other ways you can support the new Golisano Children’s Hospital. Below are members who have made significant Campaign gifts in addition to their membership commitments or have exemplified Meliora in the areas of academia, health care, and/or research. 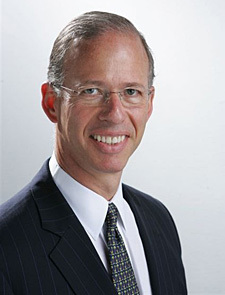 Charter Members Robert B. Goergen ’60 and Pamela Goergen made an $11 million commitment to the Institute for Data Science that not only gave tremendous support to the centerpiece of Rochester’s five-year strategic plan, but also pushed The Meliora Challenge beyond its $1.2 billion initial goal. In recognition of the Goergens’ generosity, the Institute will be named the Goergen Institute for Data Science. You can read the official press releases for more information on theGoergens’ gift and the Campaign milestone. With a $3 million commitment, Rochester natives and Charter Members Robin P’11, P’16 and Timothy Wentworth P’11, P’16 established the Robin and Tim Wentworth Directorship of the Institute for Data Science. Henry Kautz, the current director of the Institute and computer science professor in the Hajim School, was formally installed as the inaugural Wentworth Director of the Institute for Data Science on March 12. You can read more about the Wentworths and their gift in the official press release and Kautz’s installation in the March issue of Fast Forward. Bioethics is the study of issues—usually controversial—that emerge from advances in biology and medicine. 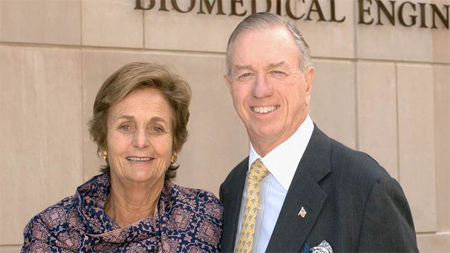 To support the study and practice of bioethics in health care and research at the University, Charter Member Paul M. Schyve ’66, ’70M (MD), ’74M (Res) has made a $5 million commitment that will be used to establish the Paul M. Schyve, M.D. Center for Bioethics. You can read more about Paul and his gift in the official press release. Member Ruth A. Lawrence ’49M (MD), ’58M (Res) has led a distinguished career as a pediatrician, clinical toxicologist, and neonatologist. In addition to helping pioneer neonatology as a specialty, she is an international authority on breastfeeding and a poison control expert. On March 5, her excellence as a researcher, educator, mentor, and clinician was formally recognized during a ceremony installing her as the inaugural Northumberland Trust Professor in Pediatrics. You can read more about Lawrence and the installation in the March issue of Fast Forward. Through a dedication to philanthropy, the George Eastman Circle helps to shape the future of the University and touch lives around the world. Your five-year commitments provide critical budget-relieving annual funds to specific schools and units of the University and its Medical Center and, ultimately, strengthen the University’s ability to make a profound impact on society. Join us for a day of ideas, conversation, and connections, highlighted by faculty and student speakers from across the University. 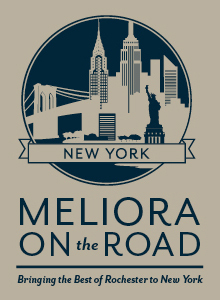 Meliora on the Road will also include a luncheon featuring remarks from President Joel Seligman and a keynote address from Steven Chu ’70, ’98 (HNR), former secretary of energy in the Obama administration and co-winner of the 1997 Nobel Prize for Physics. A beloved Tanglewood tradition continues with John Williams’ Film Night. Mr. Williams and the Boston Pops will be joined by guest conductor David Newman for what has become one of the signature events of the Tanglewood season. Prior to the concert, enjoy dinner on the beautiful grounds of Tanglewood with President Joel Seligman and Jamal Rossi, the Joan and Martin Messinger Dean of the Eastman School of Music. Tickets for the dinner and concert are $90 per person. Dinner only tickets can be purchased for $35 per person. For more information, please contact the Office of Donor Relations at 800-281-2055.